Much like its sister brand H&M, & Other Stories excels when it comes to collaboration. This year alone the retailer teamed with Rodarte and the designer who’s totally broken the mold when it comes to leather accessories, Zana Bayne. It’s latest partner collaboration, however, comes with a small catch: You have to make it for yourself. 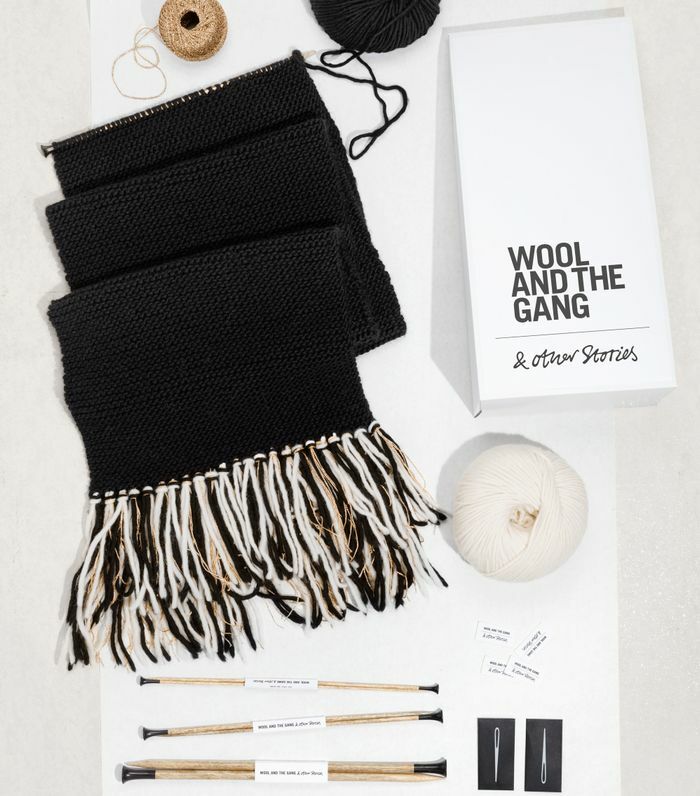 This new & Other Stories co-lab with Wool and the Gang stays true to the UK brand who not only specializes in knitwear but also promotes the craft by including knit kits, tutorials, and all the supplies a novice knitter would need among its offerings. And for the holidays, this new collection proves to be the perfect gift for any friend who’s looking for a hobby, or is a skilled DIYer. Not handy with a needle? Not a problem. The rest of this collection offers up more of the cool, limited-edition pieces & Other Stories co-labs are known for. Namely tons of quirky sweaters, ladylike beanies, and a much warmer upgrade for your standard neckerchief. Inspired to DIY (or not)? Scroll down for a few of our favorites. Check out more foolproof under-$100 gifts.